AMD has posted its report for financial year 2016, and while it has enjoyed an increase in revenue thanks to greater-than-expected sales of graphics products it has still ended on a hefty loss of £394 million. With a net loss of £394 million for the year, you'd be forgiven for thinking that AMD's 2016 was a poor one - but the company, surprisingly, has a few things to celebrate. Its loss was, for a start, lower than the year before: In 2015, AMD hit a whopping £523 million loss despite various cost-cutting measures designed to slow its decline. Its overall revenue was also up by seven percent year-on-year, driven primarily by an impressive 28 percent growth in Computing and Graphics largely as a result of improved GPU sales. Sadly, things look less rosy for the quarter ahead: AMD has officially predicted a revenue drop of between 8 and 14 percent, even as it prepares to launch its next-generation Ryzen CPU and Vega GPU products. On that topic, AMD president and chief executive Lisa Su had a rough timescale for the company's impatient fans: Consumer Ryzen chips will launch in early March, barely hitting the company's revised Q1 roadmap, with the server variants - codenamed Naples - to drop in the second quarter alongside the company's Vega GPUs. Zen-based accelerated processing unit (APU) products with integrated graphics hardware, meanwhile, aren't expected until the second half of the year, under the codename Raven Ridge. 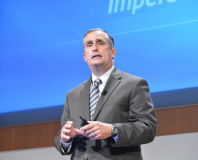 Elsewhere in the company's results, the real challenge faced by AMD becomes clear: The company's gross margin for the fourth quarter was a mere 32 percent, standing in stark contrast to rival Intel's more-than-healthy 60.9 percent. 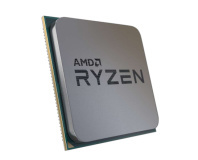 With pundits predicting that AMD will launch its Ryzen parts at competitive prices as a means of clawing back lost market share, that's a number that could come back to haunt AMD in the coming year.